How exactly we fullfill these broad goals depends on the membership! 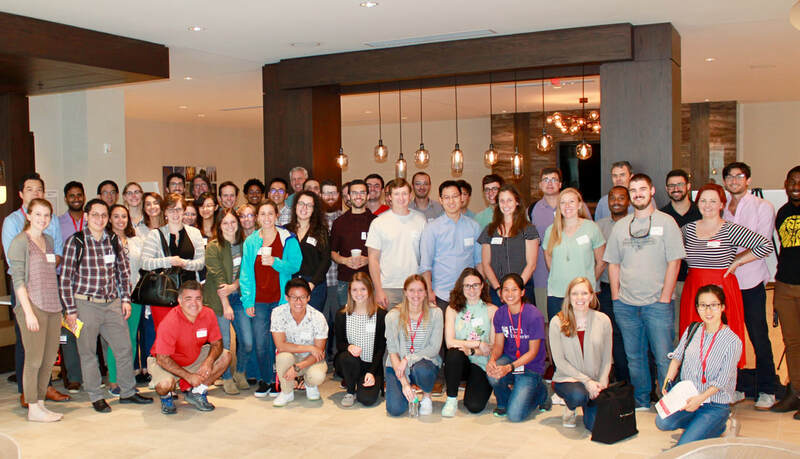 All bioengineering graduate students are automatically members of BGSS and are encouraged to get involved by attending our events! Emily graduated from Tufts University in 2015 with a B.S. in Biomedical Engineering. She is now a fourth year PhD student in the Jewell Research Lab. Her research is focused on leveraging biomaterial properties to promote tolerance to self-molecules that are attacked by the immune system in cases of autoimmunity. Mary graduated from the University of Delaware in May 2015 with a Bachelor of Biomedical Engineering degree and minors in Computer Science and Bioelectrical Engineering, and is currently a PhD student in Dr. Kimberly Stroka’s Cell and Microenvironment Engineering Lab. She is investigating the mechanisms that enable mesenchymal stem cells to migrate through confined spaces in order to inform and improve tissue engineered scaffold designs. When not in the lab, Mary enjoys hiking, going to see live music, practicing yoga, and home brewing. Eli received his BS from UMD bioengineering and promptly matriculated into the PhD program at the same. Previously working on cell tracking in Dr. Bentley’s Lab, he currently works on developing novel RNA delivery vehicles for therapy in Dr. Jay’s. In his free time, he enjoys playing with his niece and traveling. Andrew graduated from Mississippi State University in 2015 with a BS in biological engineering before coming home to Maryland to attend UMD. He is currently a second-year PhD student in Dr. Ryan Sochol's lab and is focused on merging conventional microfabrication techniques and nano-scale 3D printing to develop lab-on-a-chip technologies -- particularly a kidney-on-a-chip platform. In his spare time, Andrew can commonly be found fishing on his kayak, playing or watching sports of any kind, or enjoying time with friends. Christina graduated from Drexel University in 2016 with a B.S. in Biomedical Engineering and a concentration in Biomechanics. Now, she is a PhD student in Dr. Scarcelli's Optics Biotech Lab where her research is focused on studying the mechanical properties of ovarian cancer tumors using Brillouin Confocal Microscopy. Outside of lab, she enjoys sports, running, and exploring DC.